Founders - Top Ladies of Distinction, Inc.
Lady Boswell, of Tyler, Texas, received a Bachelor of Art in Music from Prairie View College and pursued graduate work at the University of Oregon. She taught music in Port Arthur, Texas and Tyler, Texas. 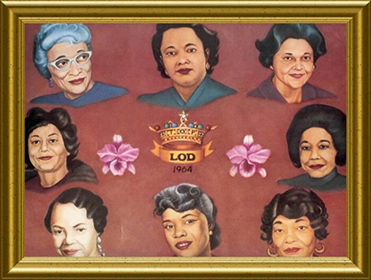 She served as the first National President of Top Ladies of Distinction, Inc. and held office from 1964-1971. The Franchell Boswell Foundation is dedicated in her memory. Lady Madlock, of Tyler, Texas, received a Bachelor of Science from Texas College and a Master of Science from Iowa State College. 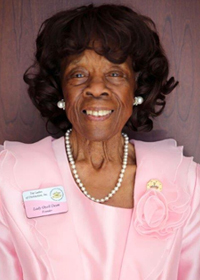 She held the offices of National Recording Secretary and was the second National President of Top Ladies of Distinction, Inc., serving from 1971-1974. Lady Nelson, of Dallas, Texas, was the first National Treasurer.